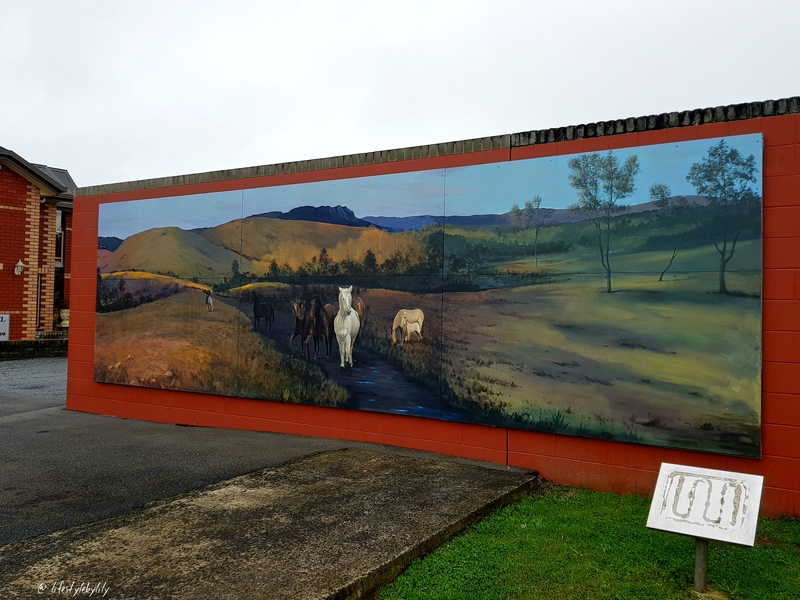 We passed through many small towns on our way to Cradle Mountain, the most memorable being Sheffield as it is a town known for it’s many murals. I habe never seen so many murals in one town and each of them so different! Before we knew it, we had arrived at the Visitor’s Centre. Of course it was beautiful weather the day before and raining on our arrival. Nevertheless, we went in and spoke to some of the staff who recommended we drive outto the lake and see something as the weather was to worsen. We didn’t realise how big the area was and we were surprised by how long it was going to take us to get to the summit. We weren’t prepared at all! A 13km round trip does not sound unachievable but we had a look at some of the pictures of the track and you really need to be prepared…maybe next time. 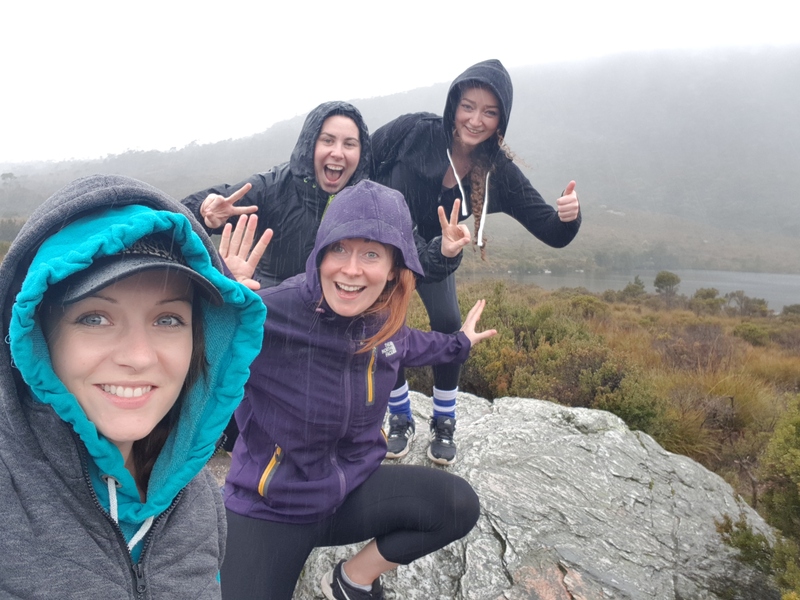 **Tip: We purchased a parks pass for around $60 at Cradle Mountain which granted us free entry to any other park in Tasmania along our travels. It is certainly a cheaper option than paying for every park. We decided to cut our losses and make our way to our next destination, Tullah. We booked to stay in Tullah so we were closer to the destination for the following day. On our way we saw a signpost for Tullabardine Dam and Lake Mackintosh and as time was on our side, we decided to take a look. It was quite literally the lake but it was very peaceful and calm, quite the pretty lake. We were booked into the Gateway B&B and had quite the laugh finding the place. This quaint little town was ridiculously quiet and small and we still couldn’t find our accommodation. We eventually spotted it camouflaged by the local shops surrounding it. The B&B was an old shop turned into a studio apartment. We had a double and two bunks and two of the three beds had electric blankets and the top bunk was very unsteady so unfortunately Mini Me slept on the sofa. Tullah is a very small country area so there weren’t many options for eating out. The cafe where we checked into a B&B close around 5 PM and this meant that we had an option from a restaurant that overlooks the local lake or the local bar. We opted for the local bar as we weren’t after anything very fancy. There was open fire blazing in the bar but it was very quiet. I ordered a Chicken Fillet Burger, however it was a processed chicken schnitzel and I was less than impressed and didn’t eat it. We went back to our room and watched some tv with a cuppa and some chocolate. It was an early night for us, the next day was going to be the big one! Looks like a fine trip! So beautiful! I really want to go to Tasmania – one day!! Love looking at your Tassie photos! Pity the weather wasn’t too great. Looks like such a fun trip! Tasmania is on my list of places to visit, so I am saving this for later!! Tasmania looks so beautiful! I’ve been wanting to go there for years! Looks like you got to see some serene places! I’ve got to visit Tassy! Tasmania is so beautiful and scenic. You compiled it so well. Nice Post!!! Seem I like such a beautiful place. Lovely photos, Lily. Makes me homesick for gorgeous Tassie. Probably a good decision not to walk to the top of Cradle. Maybe you can go back one day. In February. Although even then the weather isn’t guaranteed haha.